Convey your style aesthetic with lighting for all rooms in your home. 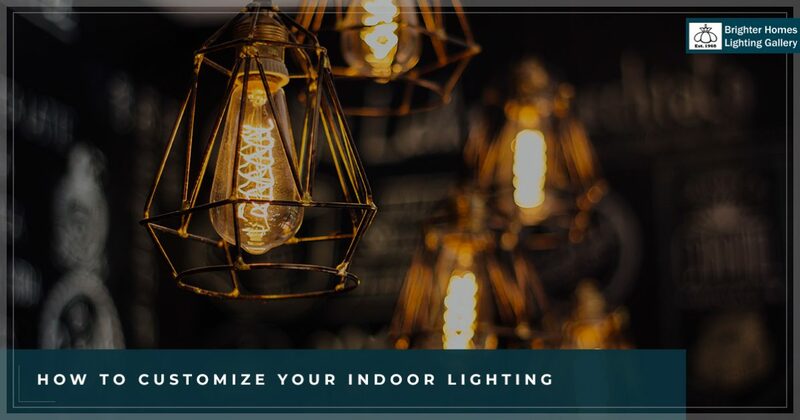 Whether you are updating a space or decorating a new one, there are a variety of choices when it comes to embarking on customized lighting that melds with your style aesthetic. From finishes on fixtures to lamp shades — there are many decisions to be made. Illuminating a space comes with many big decisions, which is why Brighter Homes Lighting in Eugene wants to make it as effortless as possible. With a vast collection and one-of-a-kind lighting pieces, you’ll find indoor lighting perfect for every space. Once you have planned out the type of lighting each room requires — task lighting, general lighting, and ambient lighting — you can begin to personalize each piece. Choose a fixture that reflects your aesthetics. You can absolutely make a statement with indoor lighting! Fixtures come is a variety of options — from flush and semi-flush to decadent chandeliers. You can decorate each room with a differently styled lighting fixture, or if you like things more uniform, you can cultivate a cohesive look throughout your home with the same fixtures. Many lighting styles fit within collections where the fitter design is the same but allows you to customize the finish or shade. For a genuinely customized lighting piece, the fixture finish makes the difference. Whether you love a sleek, modern look with polished chrome or an antique brass — we have a collection that will fit your tastes. Below are a couple of customized fixture finishes you could consider. • Antique copper – This is a satin brass with a tinted lacquer to highlight the appearance of copper. Implement it in kitchen, bedroom, or bathroom lighting. • Black enamel – Black creates a modern and chic look. This satin black paint can be applied to sandblasted surfaces that boasts a long-lasting, timeless finish. • Polished nickel – This traditional finish is a bit warmer than chrome or nickel because it is not lacquered so it softly tarnishes for a beautiful, aged look. • Linen and metal shades – Like our lighting fixtures, metal shades come in many different finish offerings. Metal shades are great for task lighting because their thick construction keeps the light aimed down and centered. Linen shades are wonderful for ambient lighting and can bring a unique aesthetic to a room. • Glass shades – Many flush and semi-flush fixtures are paired with glass. Glass is the perfect way to show off the antique filament bulbs that have become popular or incorporate unique glass shade styles such as opal or globe. Lighting design can make a room so much more inviting — show off your style when you customize your indoor lighting. There are many other lighting customization choices to make — look for them in a future post! 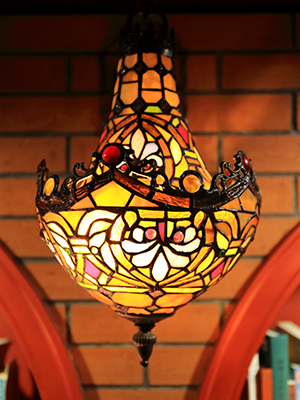 Partner with us today and stop in and peruse our lighting showroom in Eugene today!